August 2016 update: Yasuqi Cuisine is now closed. Every now and again, dinnertime rolls around and Joe and I realize there’s nothing in the fridge except Grapetister and mouldy cheese. 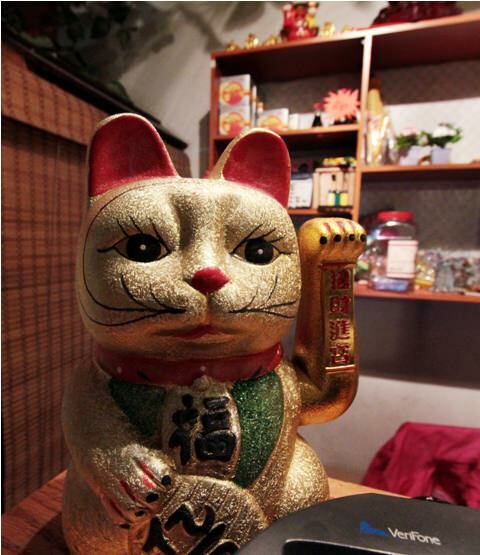 This discovery can mean only one thing — cheap Asian grub night. The food at Yasuqi Cuisine (just off 7th Street on 4th Avenue) is not the best I’ve ever tasted. 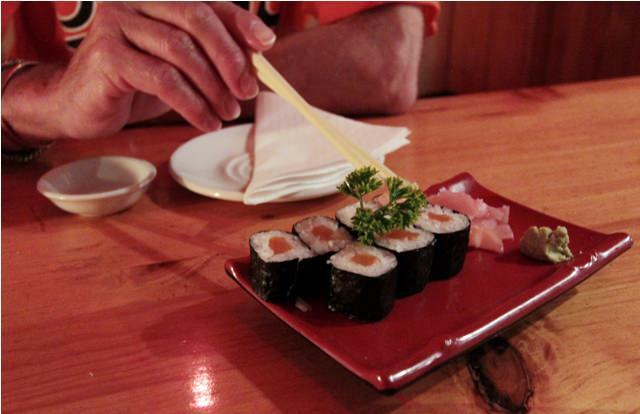 But the friendly staff, low prices, and quirky atmosphere make up for the humdrum menu. 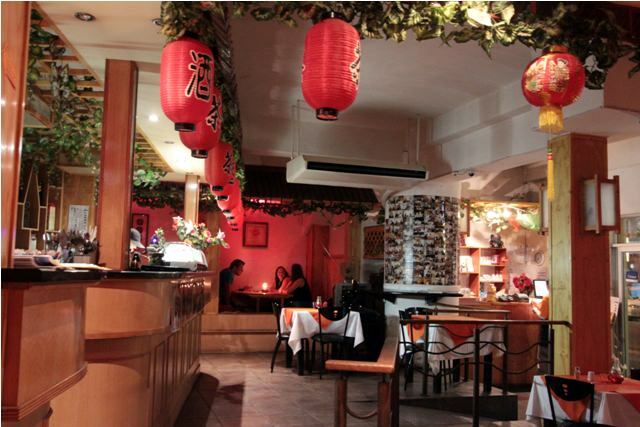 The middle portion of the restaurant has regular tables and chairs, where you can sit and watch Chinese music videos on the TV above the door. Joe is not a fan of the videos but I find them mesmerizing. Imagine various Chinese women, singing various Celine Dion songs in Chinese, with soft lighting and handsome Chinese men in the background. Pretty much all the videos are like that. 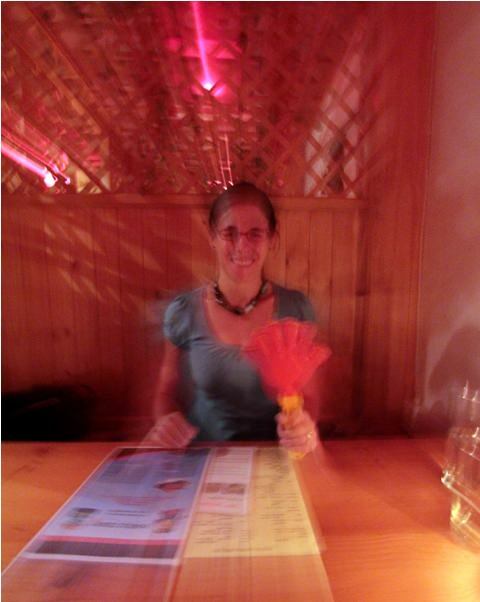 The restaurant always looks empty because no one sits at the tables in the middle. The prime real estate is along the sides — at the sunken booths surrounded by lattice-work and plastic greenery. You climb in, slide the doors closed, and suddenly you’re in your own private funky Asian cave. 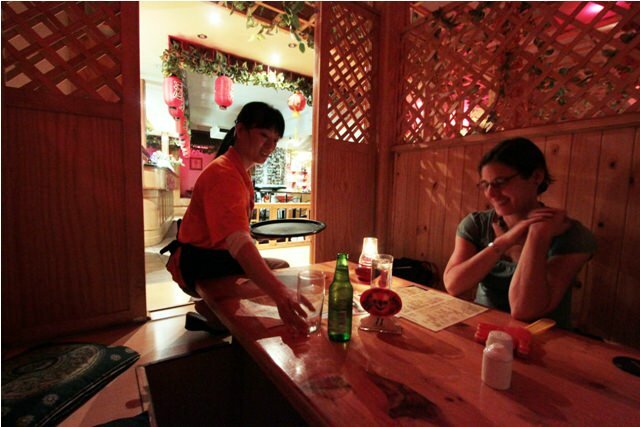 The most interesting part of the Yasuqi dining experience is the method for getting the waitresses’ attention. A closeup of the clapper. 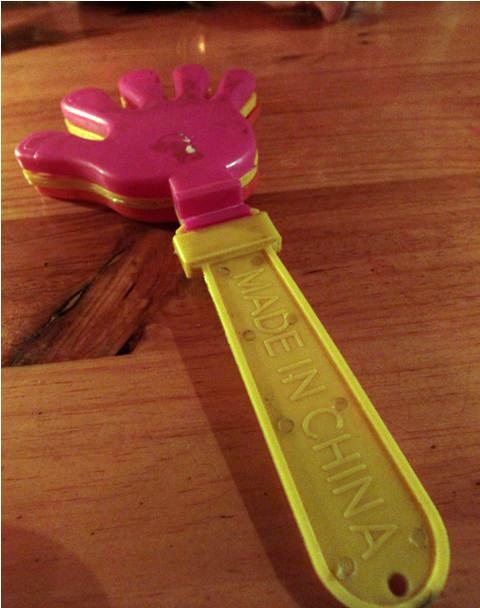 Made in China, of course. 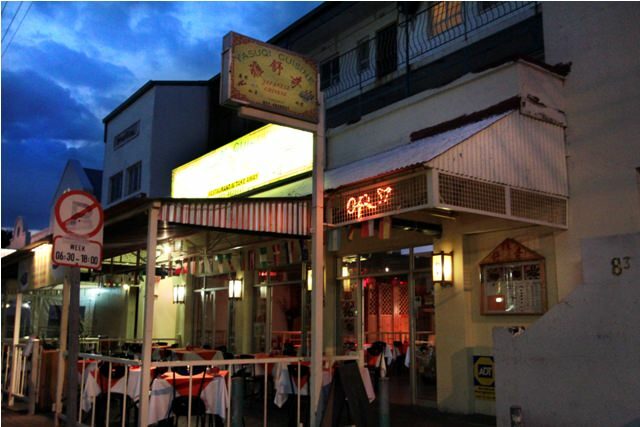 Yasuqi serves Japanese, Chinese and Thai-style dishes. The sushi is actually quite good. 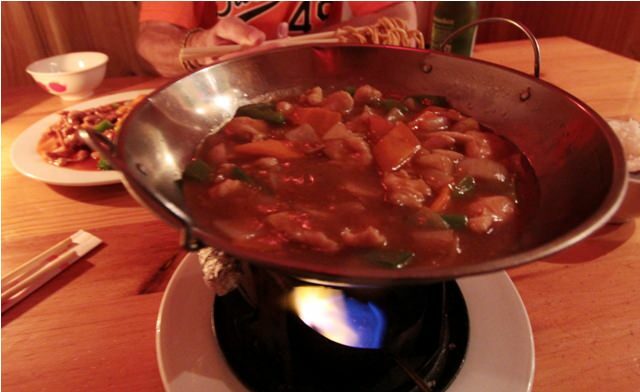 Every time we eat at Yasuqi I seem to order this flaming wok of “Thai” curry as my main course. I’m not sure why, as the curry is bland and the flames are hot and kind of scary. It’s like this curry has cast a spell over me. I’m determined to stick with sushi next time. Mediocre food aside, we always leave happy and we keep coming back. It’s a fun place to eat. I rate Yasuqi 4 claps out 5. Ah, yes, I saw plenty of those music videos when we lived in Vietnam. They are kind of fun, aren’t they! Thanks! I tried taking a pic of the TV playing the videos but it didn’t come out. I’m sure there are Asian restaurants in the US that play those too but I had never seen them before. Grapetiser, mmmm! Discovered that in SA. Love the clapper idea – although I think I would have been like you, a little reluctant to use it at first. But then hunger would have got the better of me! Seriously, Grapetiser is the best. I’m drinking one right now.